Ever had clients stare at you blankly and not understand the purpose of your wireframe? Or maybe you find it frustrating how developers and designers stray from client approved prototype designs? Well this kit is designed to help you explain effectively how the UX process works. A flowchart is a type of diagram that represents an algorithm, workflow, sitemap or process, showing the steps as boxes of various kinds, and their order by connecting them with arrows. This diagrammatic representation illustrates a solution model to a given problem. This kit is ideal for representing mobile projects. 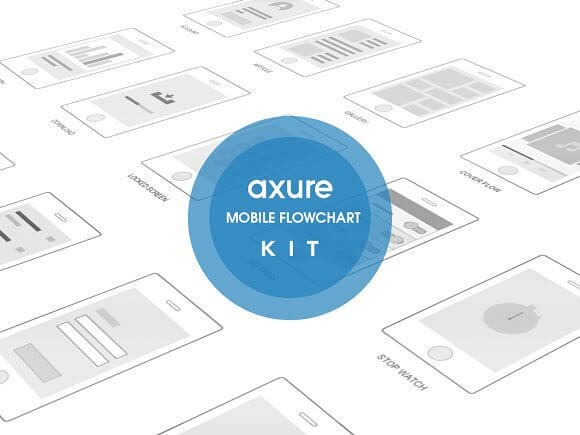 This Axure kit contains 50 mobile UI artifacts for illustrating a model workflow, sitemap or process for mobile applications.